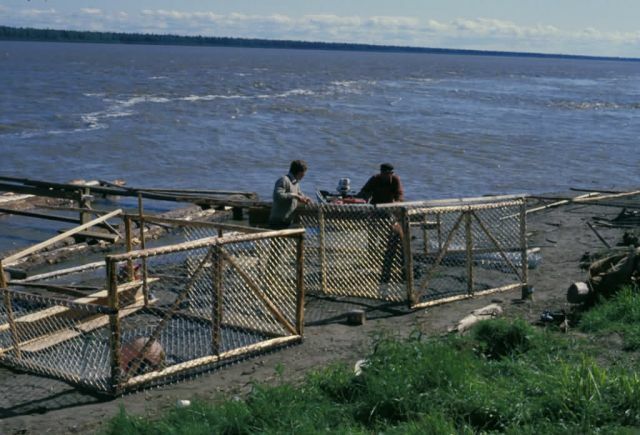 Fish wheel on the banks of the Yukon River near the village of Kaltag. Kaltag is located on the Yukon River near the Innoko National Wildlife Refuge. This village is a checkpoint for the Iditarod Trail Race.